An Olmos Park treasure, this home was built between 1911-1926 (date unknown), and simply radiates charm and character. For 25+ years the homeowners wanted a kitchen remodel, but each contractor brought with them a "can't do it" attitude. 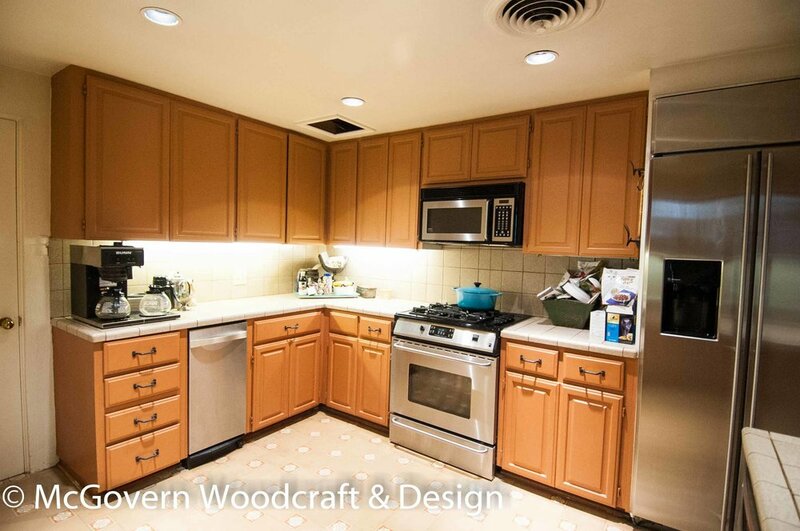 McGovern Woodcraft came in and saw the vision the client wanted: we raised the ceiling as high as possible, installed custom cabinetry, custom Redondo Tile flooring, and a coffee bar nook—all within a reasonable price and delivered in a timely fashion. 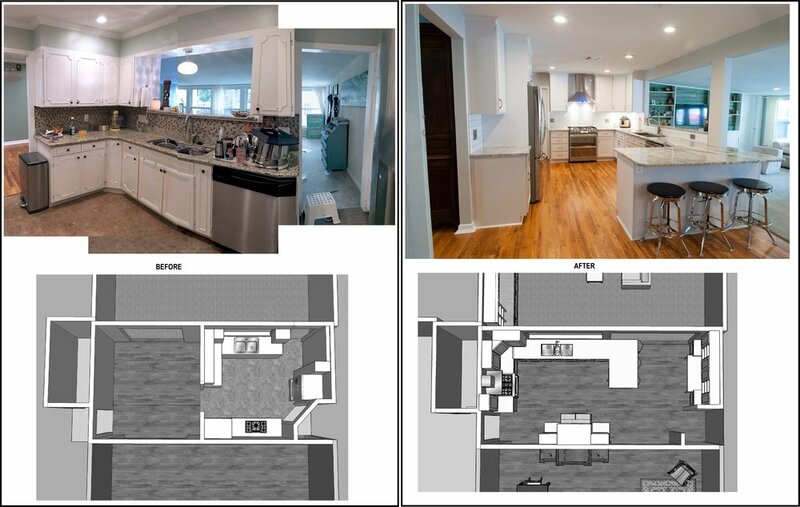 With help from the Lavender Design Group, the floor plan was changed around to maximize cabinetry storage and usability. We incorporated corner drawers instead of a lazy susan, vertical spice pull-outs on either side of the range, and a coffee bar with pocket barn doors. Built in the 1940s, this Terrell Heights home was located in a post-war neighborhood close to Fort Sam Houston. The old kitchen floor plan had limited storage and counter space, so Chelsea proposed a creative and bold solution: an extreme "flip flop" of the kitchen location. 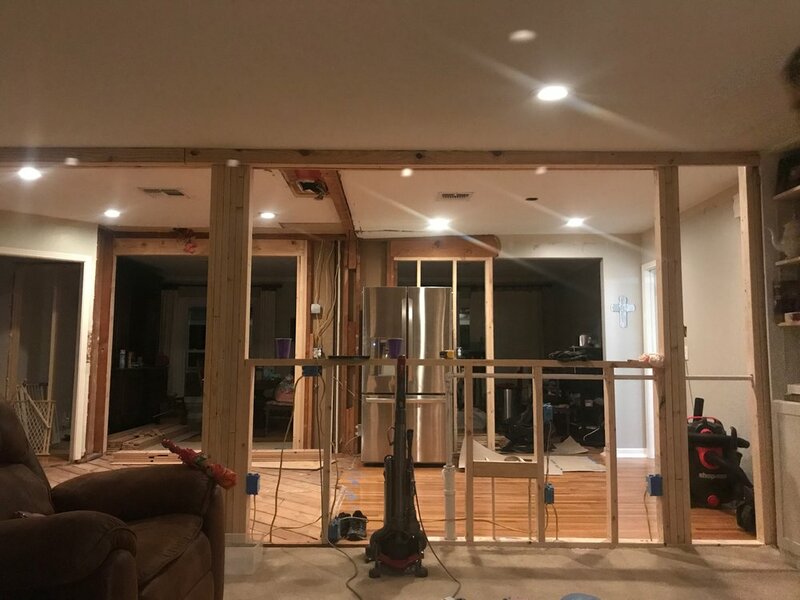 While originally the kitchen layout was on the East side of the house, after remodeling, it flipped to the west, creating more space and better "flow." With their new and spacious kitchen, this Terrell Heights family was finally able to have a baking station, an extensive counter top work area (counter top square footage went from 34 sqft. to 67.5 sqft! ), a large kitchen sink (42" wide), and ample amounts of cabinet storage for all their cooking needs. 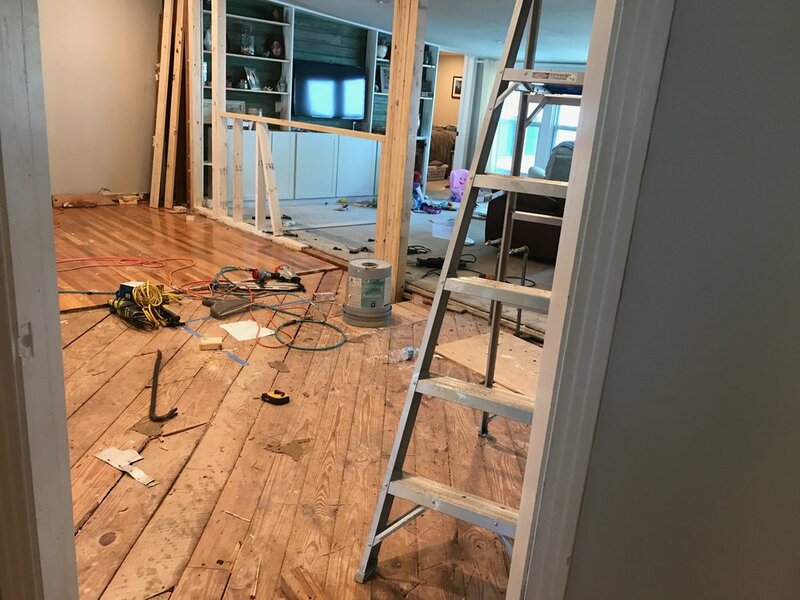 The original kitchen did not have original hard wood Red Oak flooring, so the homeowners installed raw Red Oak flooring to match the rest of the house. McGovern Woodcraft was able to stain the new floor to match the original aged flooring. Now, it's practically a seamless transition. This house was built in 1976 in the Hidden Forest neighborhood. As new empty-nesters, the couple decided to finally treat themselves to an upgraded kitchen. The original kitchen layout was cramped and claustrophobic, lacked counter space, and had 70s-era cabinets. We installed bright, modern cabinets and pantries that gave them more counter space, and installed a new gas line so that they could finally have that gas range. A groovy dream come true! This house needed some serious upgrading and TLC! 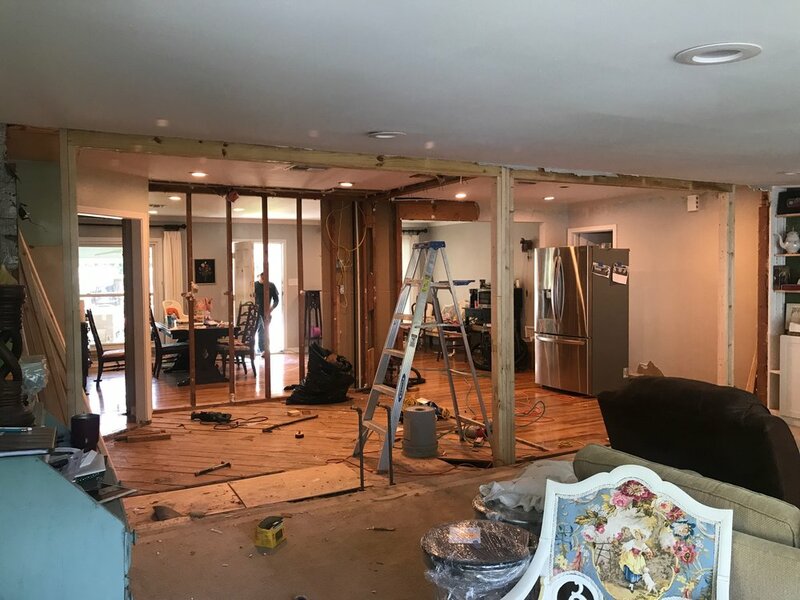 Removal of the wall between dining room and kitchen was necessary for opening the space. We also extended the kitchen floor three feet into the sunroom for additional cabinetry and pantry space. In the single bathroom, we assumed one of the two small closets from the master bedroom as a linen closet, built a double vanity and refinished the original tile found under two layers of tile. All the walls and trim were re-textured and painted with the same colors through out.